Leon Garfield (1921-1996) was a much-loved author of children's fiction, best known for historical novels and his two volumes of Shakespeare Stories, which were animated for television. An art student in his youth, Leon’s studies were interrupted by the outbreak of World War II. He joined the British Army Medical Corps, and met future wife Vivien Alcock (herself later a children’s author) while posted in Belgium. After the war he worked at a London hospital, writing in his spare time until the 1960s, when he became successful enough to write full time. 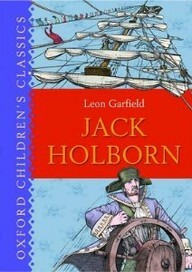 His first published book was the children's pirate novel Jack Holborn, which was adapted as a film, and his second, Devil-in-the-Fog, won the first ever Guardian Award and was serialised for television. He is best known for Smith, which was made into a series by Thames TV and has been in print continuously on both sides of the Atlantic since it was first published. 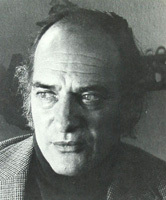 Several of his other books have been televised, including Black Jack, the film of which was joint winner of the International Jury Award at the Cannes Film Festival. Leon continued writing until his death in June 1996, and received considerable acclaim for completing and publishing Charles Dickens’s unfinished novel, The Mystery of Edwin Drood. Leon won numerous awards throughout his career. His re-telling of Greek myths The God Beneath the Sea won the Carnegie Medal for children's literature, John Diamond won the Whitbread Award for best children's book, and Smith won the Phoenix Award for children’s literature in 1987. His books are all in print and continue to be loved by children and adults to this day.